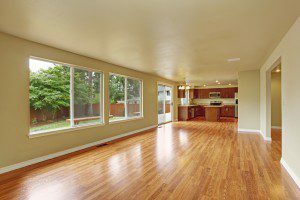 Homeowners have a lot to consider when choosing someone to refinish their hardwood floors. Striking a balance between quality and affordability can be a daunting task, even for someone with home remodeling experience. Fortunately, homeowners can take steps to remove the guesswork from the decision and to make sure they have the best hardwood floor refinishing contractor they can find. One step is to get a complete and detailed estimate from any contractors contacted. Cross-check the estimates against each other to see if anything is missing, or if anything extra seems to be added. Be sure to check labor costs and additional fees to make sure everything is listed upfront. Another essential step is to learn as much about the hardwood floor refinishing process as possible. Ask the contractors how they handle to the delivery of materials, removal of old flooring, and the installation itself. Also, be sure to ask how they manage to a cleanup process, including any dust removal. Leaving a mess behind is not only unsightly, but it can lead to air quality problems if the dust and debris become airborne. Lastly, it is imperative to check the professional reputation of any contractors contacted. Check their business ratings and look for customer reviews. Take note of any specific praise or criticism, and feel free to ask the contractor to explain. It may help to find a business that has been in operation for some time or to get referrals from family and friends. Finding the right hardwood floor refinishing company can be stressful, but homeowners still have stools at their disposal to make them feel better about the decision. Knowing the company’s history, understanding its process, and getting a precise estimate will take some of the challenges out of making the decision, With the right tools, homeowners will get hardwood floors that they can enjoy for years.